The Colorado Office of Boxing has medically suspended eight athletes who competed in this past Saturday’s “UFC 150: Henderson vs. Edgar II” event. 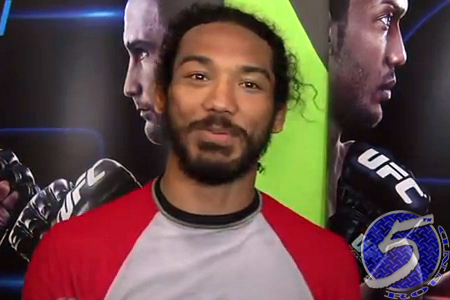 While Benson Henderson (Pictured) may have left Peyton Manning country with his lightweight title in tow, Henderson was issued an indefinite ban until he receives clearance from a physician. Colorado’s governing body is not required to disclose the nature of Bendo’s injury. However, it was announced Wednesday morning that Henderson will defends his crown against Nate Diaz on December 8th. So his wound is clearly not serious. Speaking of not revealing information, the COB won’t be publicly reporting the salaries earned by the fighters. Pepsi Center in Denver hosted this weekend’s festivities.